As I’ve mentioned, I’m not a super crafty person, but I do like buying “the stuff” to do crafty things! Stuff is a good word for it, because I usually have to then “stuff” it into my closet, rarely to be seen or heard from again. 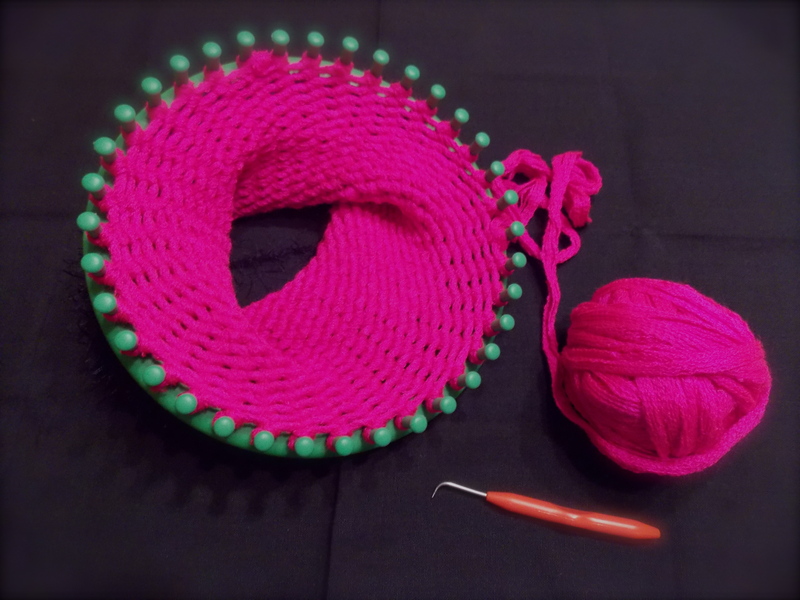 Good news – there is “stuff” for loom knitting. Even better news – it costs less than $10 and packs up small. 🙂 Basically, all you need is a loom kit and some yarn. All looms are not created equal. In fact, I purchased one for a friend that broke the first time she used it. I like the Knifty Knitter looms (available here on amazon.com), but if you don’t want a whole set with different sizes, I also like the single 9.5″ loom by Loops & Threads (available at your local Michaels). There are basically made up of 2 types of yarn – workhorse yarns & decorative yarn. I am not a yarn snob. I go with what is soft (no scratchy Super Saver yarn), fun, convenient, and on sale. Spun Yarns – I like the texture of these yarns for loom-knitting a cap. I’ve found 2 brands that I use a lot. Lion Brand’s Homespun and Loops & Threads’ Country Loom Yarn. Both work great and both come in variegated colors, which makes the caps interesting with less work for you! 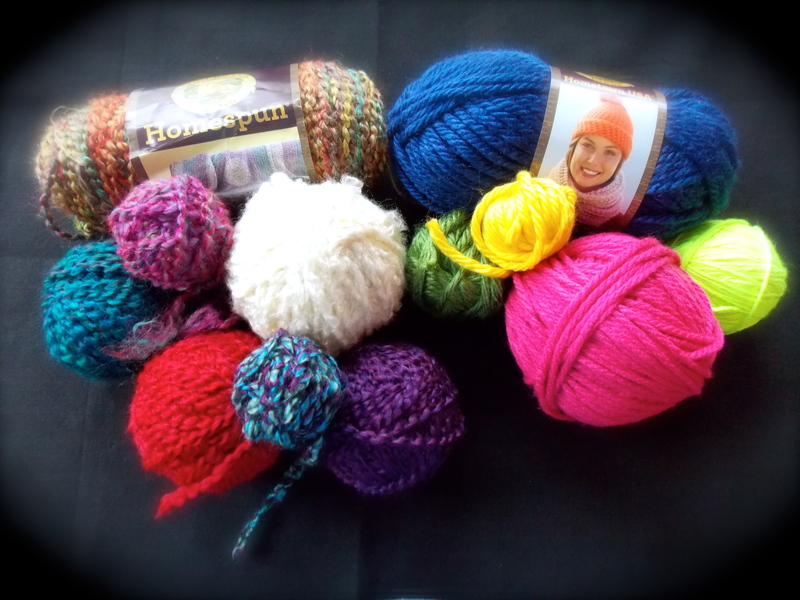 Thick, Chunky Yarns (but not too thick) – Lion Brand has a Hometown USA label that has nice bright colors. For you advanced loomers, I just do a regular “e-wrap” stitch when I use these yarns or they become too dense. Free yarn or yarn in the perfect color – I don’t always get to choose the perfect texture of yarn. For instance, I really wanted neon green (which is the color of lymphoma awareness) for a friend of mine. You can see from the picture (it’s the ball all the way on the right), the only yarn I could find was a thinner one than I typically like to use. No problem, I just used 2 strands of it instead of 1 and it worked out fine. 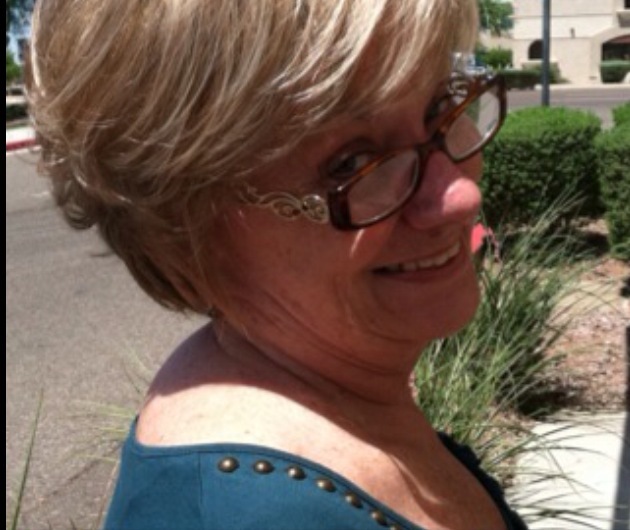 Of course, it’s my gorgeous friend and her beautiful smile that gives it extra sass!. 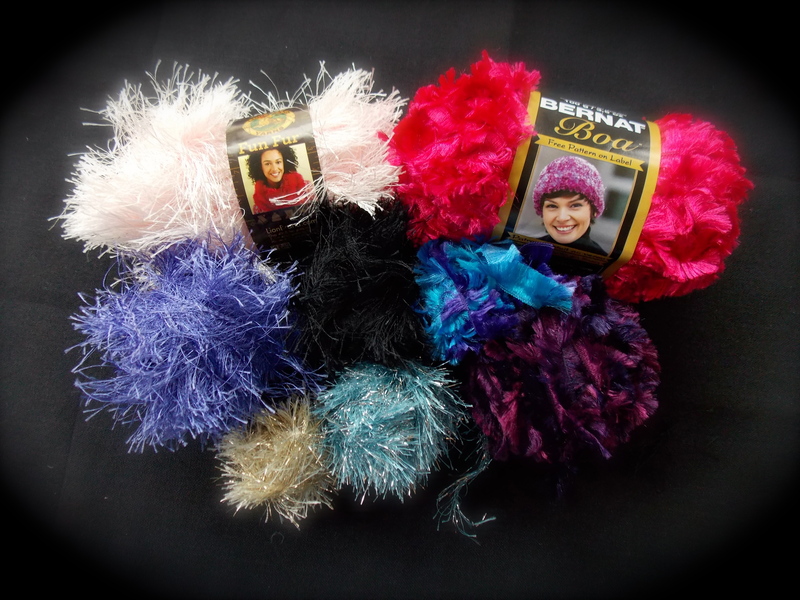 Decorative Yarns – These yarns provide the sparkle, fur, & feathers – in short, they will put the Sassy in your Cap. I have made caps that are completely loomed from decorative yarns & they come out neat, but that can get pricey & sometimes comes off a little over the top. Since these yarns tend to cost more, I make them last by using them only on the brims or for embellishment. They seem like they would be delicate or difficult to work with, but they all work just fine on the loom with a regular stitch. Eyelash – What could be Sassier than glitter? Martha Stewart makes a Glitter Eyelash yarn that sasses up boring workhorse yarns in style. 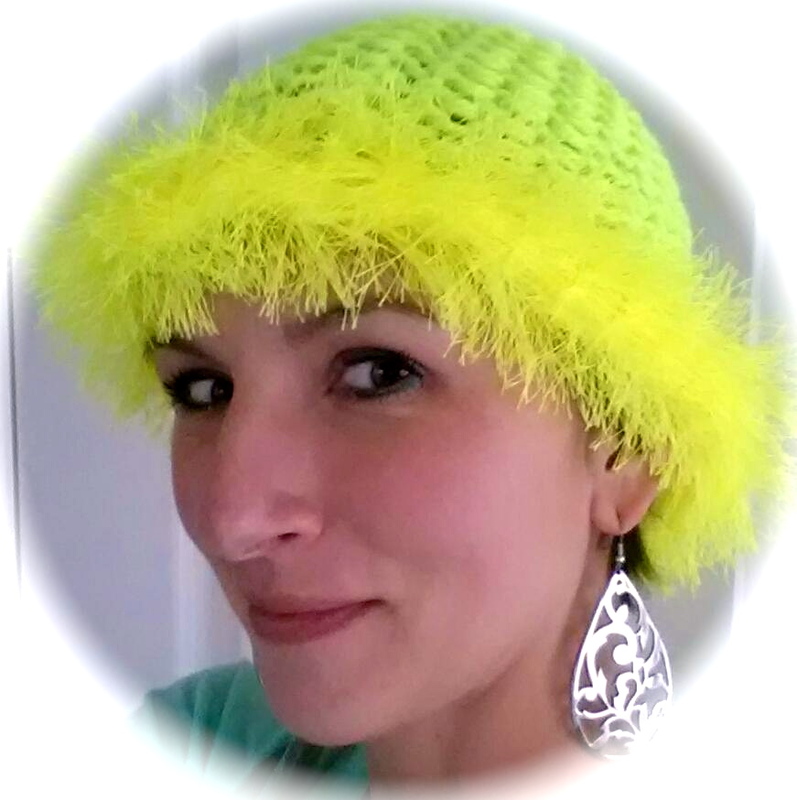 I made a plain cream-colored cap with Loops & Threads Country Loom yarn, but adding a gold Glitter Eyelash brim made it totally Sassy! Fun Fur – Lion Brand’s Fun Fur is not as glittery, and a bit longer than the eyelash. I love the super soft, fun texture it gives to caps. « Can I make a Sassy Cap on a Sewing Machine?